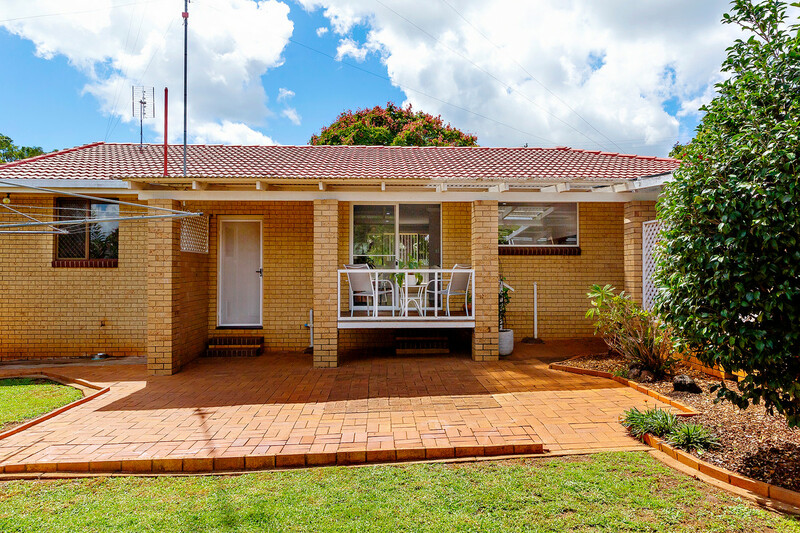 This wonderful brick home set on 697m2 in pristine Rangeville is sure to impress with its immaculate presentation of a low maintenance and practical home. 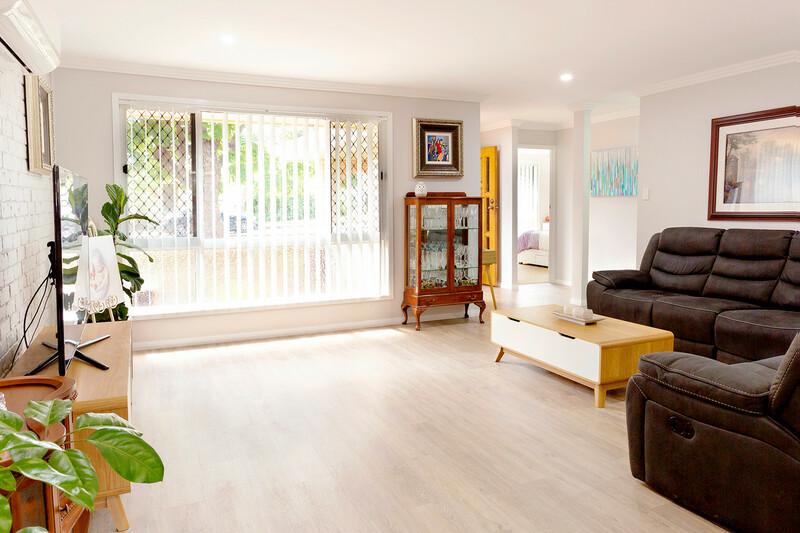 Almost entirely renovated or revamped, this residence has the benefit of all new bamboo flooring, a freshly painted neutral colour palette and an array of recently completed updates which tie in nicely with the three step cornices and homely feel of the property. 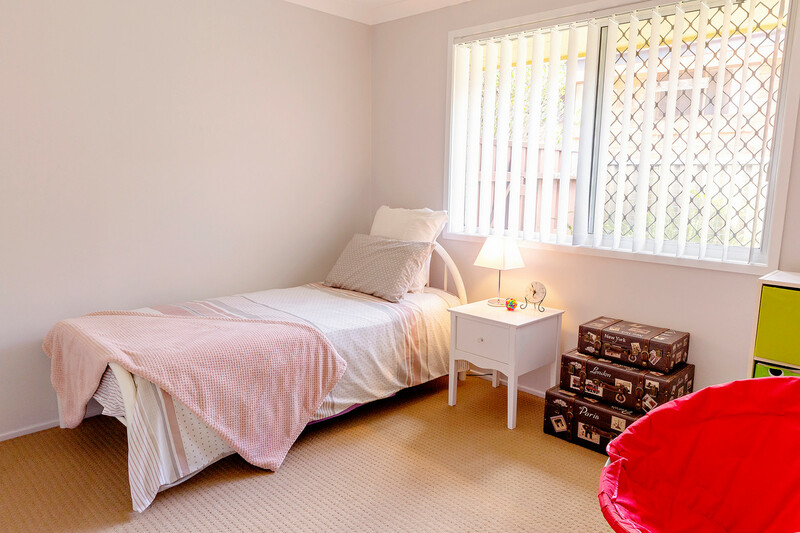 With three bedrooms plus an office, a functional main bathroom and space for up to two cars to be comfortably parked in the home, this property offers everything you need a value for money package. 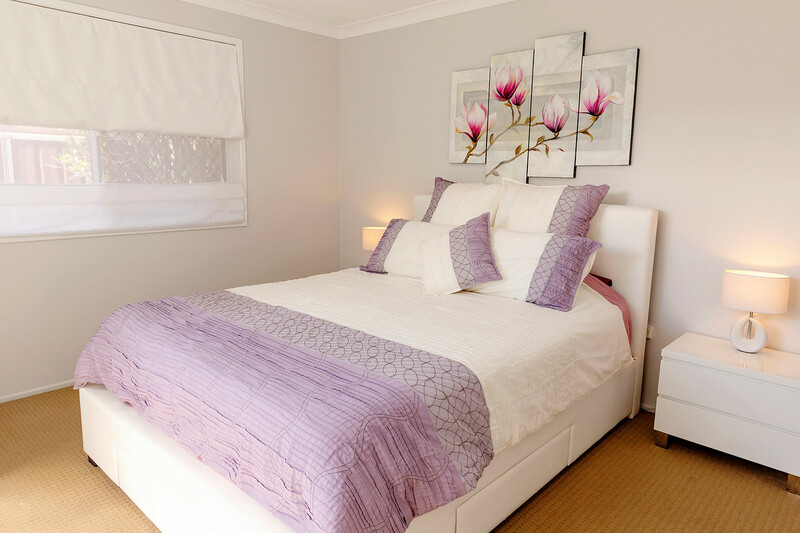 The bedrooms themselves are expansive in size with each being fitted with built-in wardrobes while being bathed in natural light; the master having its own reverse cycle air conditioner. 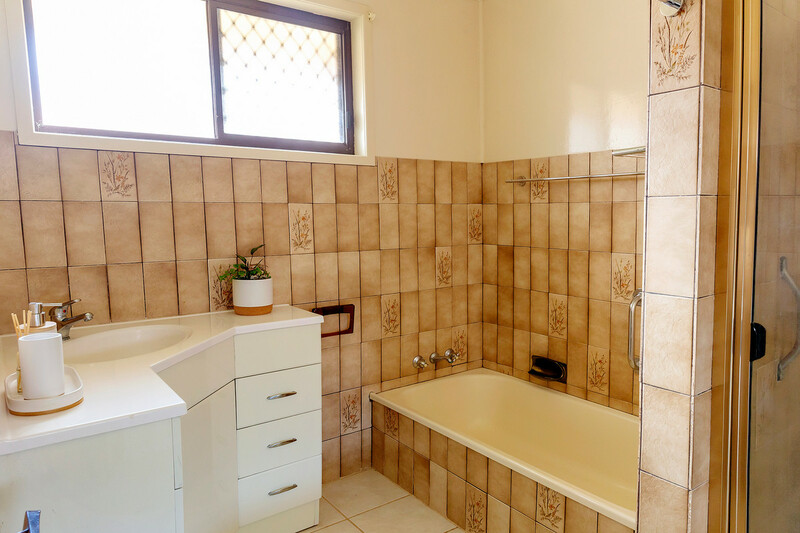 These rooms are served by the original bathroom which offers a functional space with both a separate shower and bath while offering you a clean slate to do as you desire. 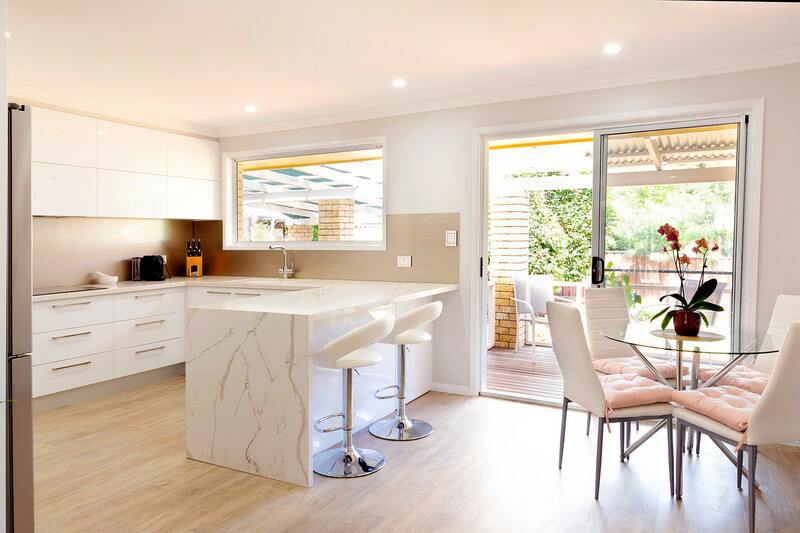 A true highlight of the home comes with the open plan living, dining and kitchen space which showcases many of the renovations undertaken on the property. 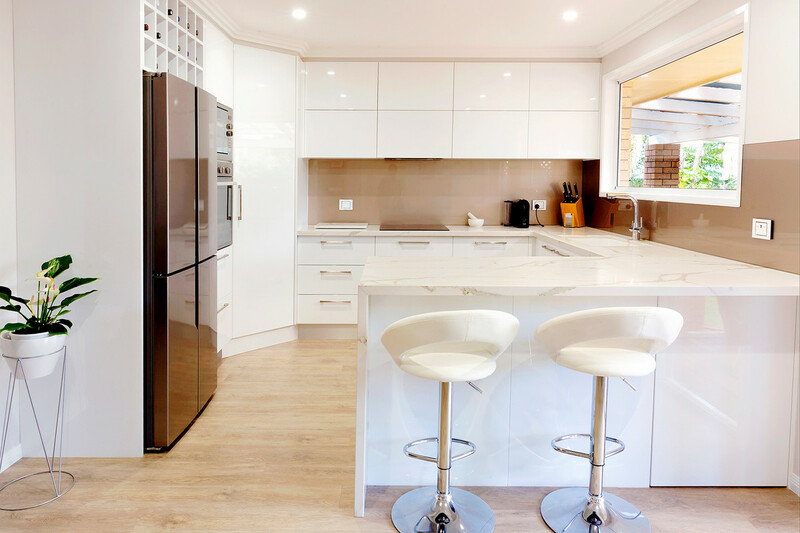 The kitchen has been completely revamped with marble stone benchtops, a breakfast bar, soft close cabinetry, stainless steel appliances including a dishwasher and in-built microwave along with a charming outlook to the deck and backyard of the home. Being overlooked by the kitchen is the dining space which further flows into the spacious living room. 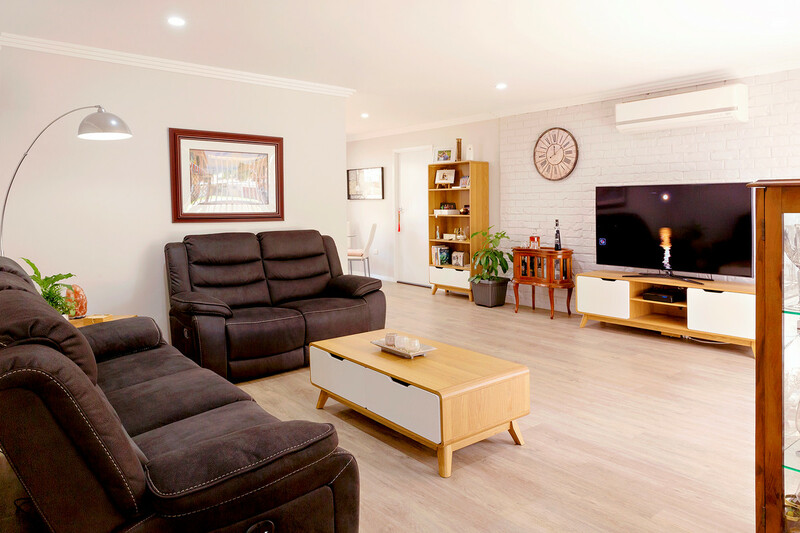 Served by a reverse cycle air conditioner, this space acts as the heart of the home while showing off the stunning neutral colour palette and offering more than enough space for the whole family to enjoy. Stepping out onto the covered deck area you are sure to be impressed by the entertainment potential on offer. 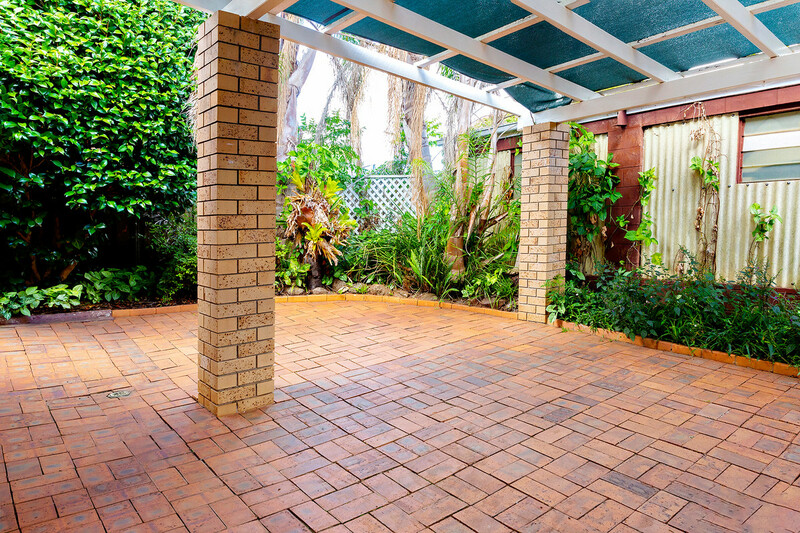 With a separate under cover entertaining space as well as a sitting area in the far corner of the fully fenced backyard, the neighbourhood BBQ is sure to be held at your house. 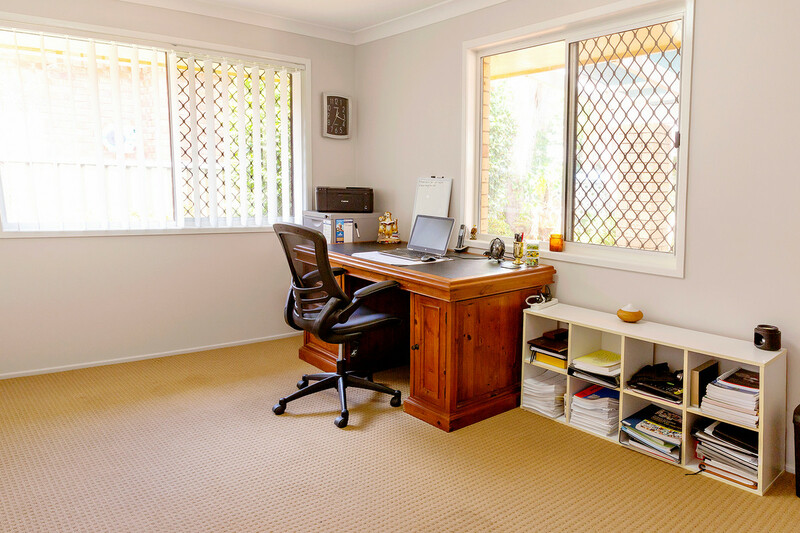 The well maintained lawn and gardens provide a tasteful touch to the yard while offering a place for kids and pets to play while you work in the 6.5x4m shed with built-in workbenches. 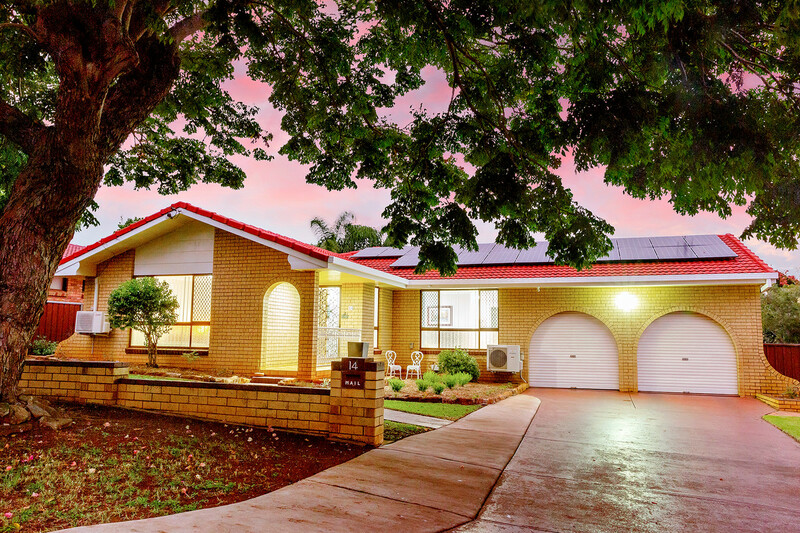 Situated close to all major amenities, this home boasts location near to the High Street Shopping Centre while offering a short drive to the CBD and falling within the Centenary Height State High School catchment zone. 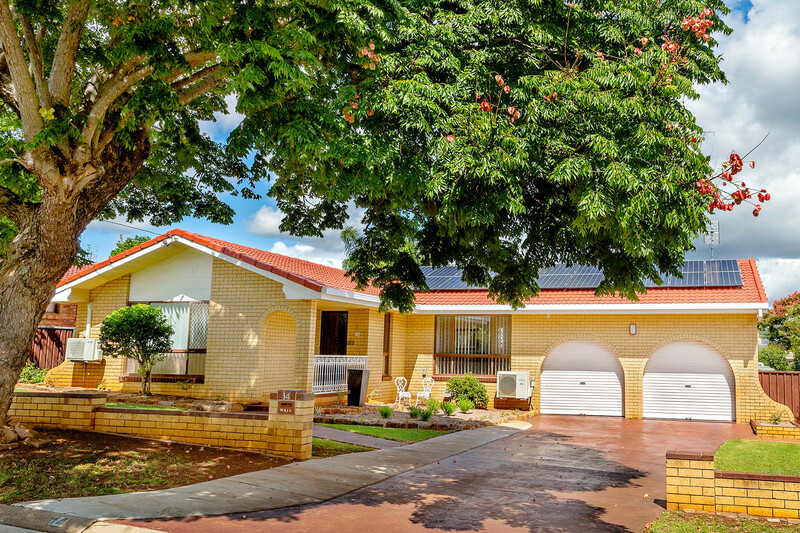 An additional benefit provided by this residence is the access to the Garnet Lehmann Park which is positioned at the end of the street to be used as you desire. 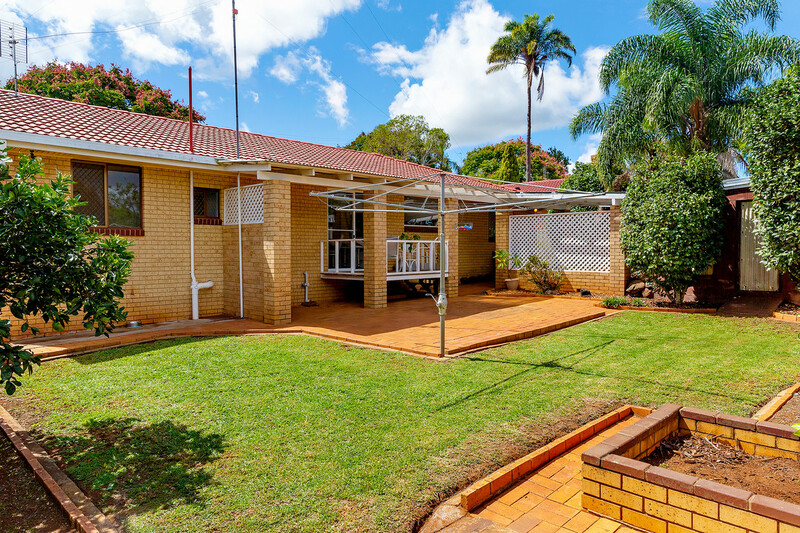 This wonderfully updated property is ideal for those looking to break into the Rangeville market or find a forever home for their family, be sure to check it out before it’s gone.